Labour Day weekend is always one of mixed spirits. It represents the close of summer, which is never fun, but also represents a new season of goals and activities. From going back to school, work, or changing into a new routine, there’s always a sense of opportunity when it comes to the first long weekend of fall. We always make our Labour Day weekends memorable and want to ensure that our customers experience the same joy. Here’s what’s up in Vernon this weekend. Are you a yogi? 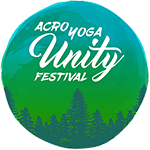 Whether you’re new to yoga or a seasoned veteran, there’s something for everyone at this weekend get together. Attend for just one day or several, it’s up to you. Hosted by two impressive acrobatic yoga experts, you’ll find workshops from a variety of professionals. With difficulty levels from beginner to expert, learn more here. You’ll find this year’s annual apple harvest at Davidson Orchards starting this weekend and lasting all month long. The only thing better than picking apples while sipping hot apple cider is getting home with more apples than you can handle. We always find that this results in apple pie, apple crumble, and other delicious treats. Get your running shoes ready! Locals know that fall means time for corn mazes. If you’re looking for a great way to get lost and perhaps lose an afternoon, check out O’Keefe Ranch. This weekend is the final weekend of the big event, so don’t miss out! It’s one of the biggest we’ve seen, and it’s a stumper! 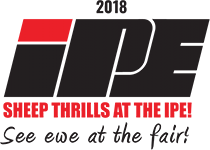 The 2018 Interior Provincial Exhibition and Stampede is here! One of the most anticipated events that we have in Vernon every year, the IPE is an event with something for everyone. You’ll find amusement rides, animal farm booths, a rodeo (part of the professional rodeo tour), and agricultural exhibits. From livestock to produce, cotton candy to darts, get ready. You’ll find everything that you need to know on the IPE website. You can even camp on the IPE grounds! Whatever you’re up to this weekend, we hope that it’s a truly enjoyable way to close out a great summer here in Vernon. Share what your crew is up to in the comments; we’re always looking for new ideas for the dealership and at home, so don’t be shy!